Before you know it, it will be Halloween, then Thanksgiving, soon Christmas and then New Year’s Day. This time of year, the days pass quickly. You have less time than you think to set aside money to make it through a budget-draining time of year. So, start saving for the holidays now! The experts at Broussard Poché, LLP have a few tips designed to take some of the stress out of the holiday season. Put money aside from every paycheck from now until you start shopping. Next year, plan even further ahead by putting away a bit every month. Don’t risk overspending when even setting aside $20 a paycheck could cover expenses. 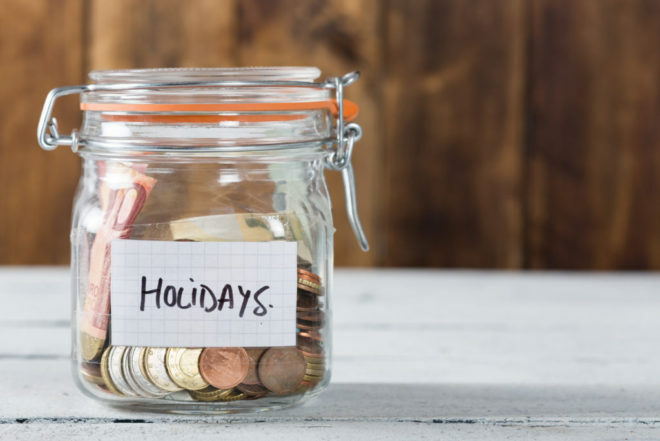 Create a special savings account just for holiday and Christmas spending. Take this time to look at your overall finances and budget. See where your money is going and where your spending habits are headed. Create your shopping budget around things like loan payments and credit card debt. If you haven’t saved up for this year’s shopping list, you still have time! After figuring out your budget, you may have noticed a few places you can cut back for a few months. Maybe lose a few monthly memberships? Or start coupon shopping on your regular grocery trips? Are you getting the best deal on your car insurance, etc.? Most people can find big savings a few dollars at a time. If you start early you can shop around and compare prices. Black Friday isn’t the only place to get cheap prices, many online retailers start deals as early as October. Make lists and compare. Even seemingly small price differences can add up. Don’t forget to budget the expenses of family meals or holiday travel. The holidays aren’t all about shopping, they are about spending time together. If you can put even one or two of these tips to use you will be more financially secure this holiday season.